This Wednesday, July 20th, from 10:30 a.m. until 12 p.m., Woodhull Hospital will transform into the site of the city's first Literacy Celebration: Representatives from nine organizations operating as City's First Readers will be on hand giving out free books, providing resources for parents, and raffling off prizes in an effort to increase literacy among children under the age of 5. This is the largest effort to date by city officials to bring together different organizations all working toward a common goal: getting kids to read. Throughout Brooklyn, organizations such as Jumpstart Literacy, Inc and the Parent-Child Home Program already provide resources to children and their parents, but bringing them all under one roof is an unprecedented effort. 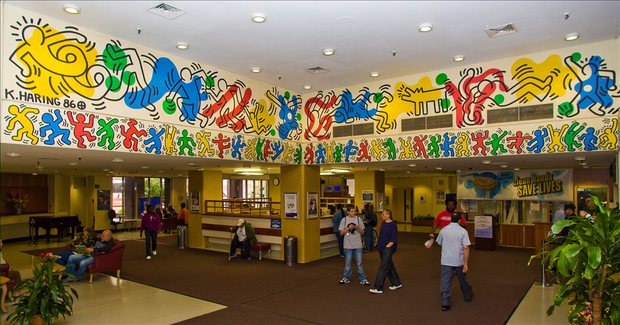 Woodhull Hospital was chosen as a perfect location due to its proximity to public transportation, multiple branches of the Brooklyn Public Library, and Reach Out & Read and Video Interaction Project (VIP), two organizations which already provide services out of the hospital, says a spokesperson for the organizers. Not only will there be free books but North Brooklyn City Council Members Stephen Levin and Antonio Reynoso will be on hand to promote the program they helped put together.